Not a lot to say really decent quality innertube, does what its supposed to. Very good quality inner tubes. come with better dust caps than other brands I have bought. Paired with the Schwalbe marathon plus MTB tyres on my E bike hope to reduce the risk of punctures. Like the fact these are designed to be less porous and so retain air for longer. 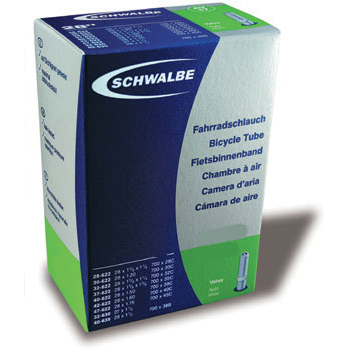 Great quality as always from Schwalbe.